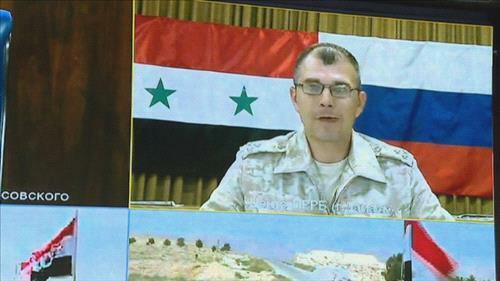 AMMONNEWS - Over 2,000 people have returned to Syria through checkpoints created on the Jordanian and Lebanese borders, Deputy Head of the Russian Centre for Reconciliation of Opposing Sides in the Syrian Arab Republic Aleksei Posunko said in a video link statement to Russia’s Ministry of Defence in Moscow on Tuesday. “In total, 2,416 people came back to Syria through local offices of the Centre for Refugee Reception, Distribution and Settlement Nasib and al-Zimrani,” he said. On Monday, Chief of Russian National Military Control Center Mikhail Mizintsev reported that two checkpoints were created on the Lebanese and Jordanian borders in Zimrani and Nassib respectively. Thirty four more checkpoints are expected.